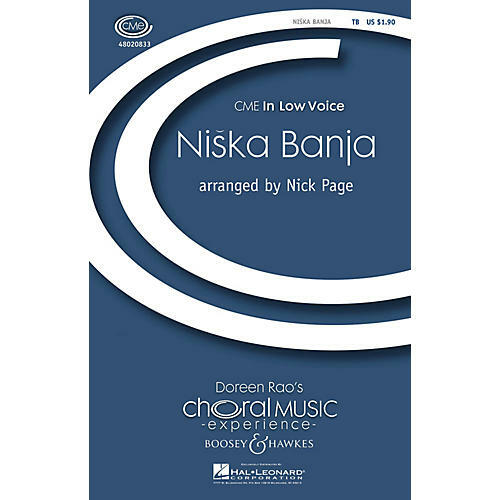 Niska Banja is a folksong and dance popular throughout Yugoslavia and Central Europe. The vocal parts are arranged almost exactly as they would be sung authentically. Piano 4-hands, optional clarinet and tambourine parts included in the vocal score. Duration: ca. 1:20.